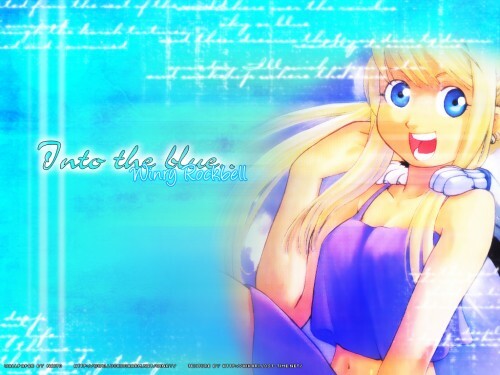 This is my first Winry Rockbell wallpaper that I've made and it's definitely going on my site. I used a texture image from my sister's graphics site and it fitted in perfectly. Then I added a blue background and some motion blurring and there you have it! One, lovely Winry Rockbell wallpaper for your desktop. ^__^ Comments and suggestions are appreciated. Well, i don't really like the blue color you used, it's a bit bright, and Winry doesn't really seem to blend in it. Nice job anyway. IMO you should have used a darker and more purple-ish blue, but it's pretty good.